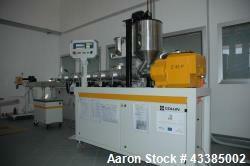 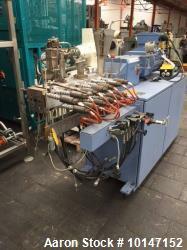 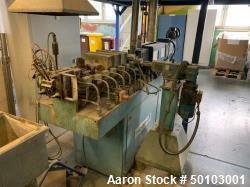 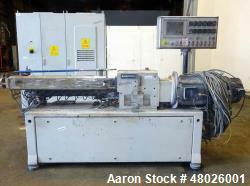 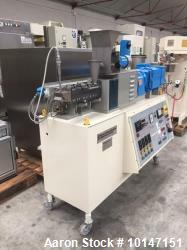 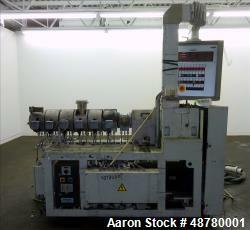 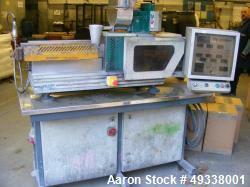 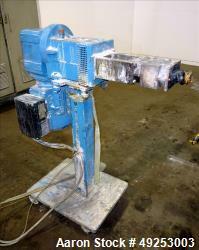 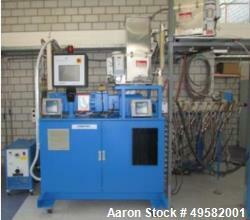 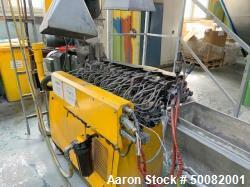 Used- Werner & Pfleiderer Double Screw Extruder, Type ZSK-170 W-1750 5G, Serial No. 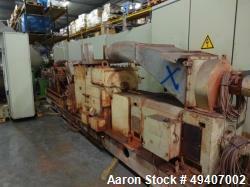 221 071, new 1986, screw diameter 170 mm (7"), screw length 2500 mm (100"), L/D 14.7, co-rotating, electric heating on housing no. 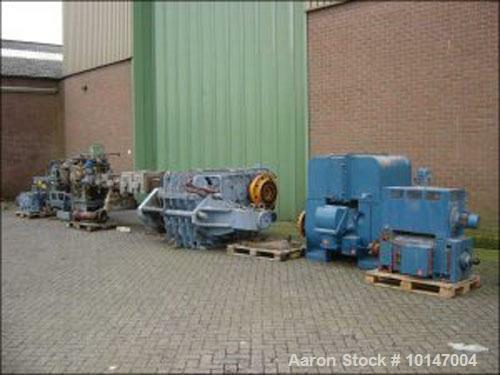 2, 3, 4 and 5, 65.8 kW (88 hp), DC motor 760 kW (1013 hp), 6000 volt, screw speed 198 rpm, without switchgear, used on DMD, floor space 14.0 x 4.0m (46' x 13'), weight 21.000 kg (23 tons), with sieve changer SWZ-1200 oval plus hydraulic unit, 2.2 KW (3hp), 500 volt, with "Wasserringgranulierung", motor 15 kW (20 hp).